This week, NYU’s Tisch Institute for Sports Management hosted what it called the first-ever conference on Sports and Social Responsibility. When I heard that it was the first ever, I thought “no way” and then googled to find that, sure enough, that’s correct. Noting but articles on the subject dating back to 2006. Executives across the multimillion and multibillion dollar sports leagues – MLS, NBA, WNBA, NFL, NASCAR, MLB, LPGA, PGA, and NHL – are hungry to address this topic. They turned out to pay rapt attention, alongside corporate and foundation leaders. Some may be too young or not quite ready. In that case, organizations should make social engagement available without forcing it. The most memorable moment came when Dikembe Mutombo, global ambassador of the NBA (and a hero of my husband’s), passionately echoed the main premise of the day. “The NBA recognizes the power to serve as part of our culture. That means every player, retired player, coach, and employee of the NBA has ridden an elevator up and needs to be committed to sending an elevator back down to someone else who needs it. How many organizations that call themselves socially responsible have a culture that helps people engage socially, builds a consciousness that recognizes the power and importance of social responsibility in everyone in the organization? How many of them get rid of the people who don’t follow these simple rules? Or, put differently, how many of our sports leagues, companies, and even schools can learn from this standard? That day, on the NYU campus, my husband’s hero became my hero. 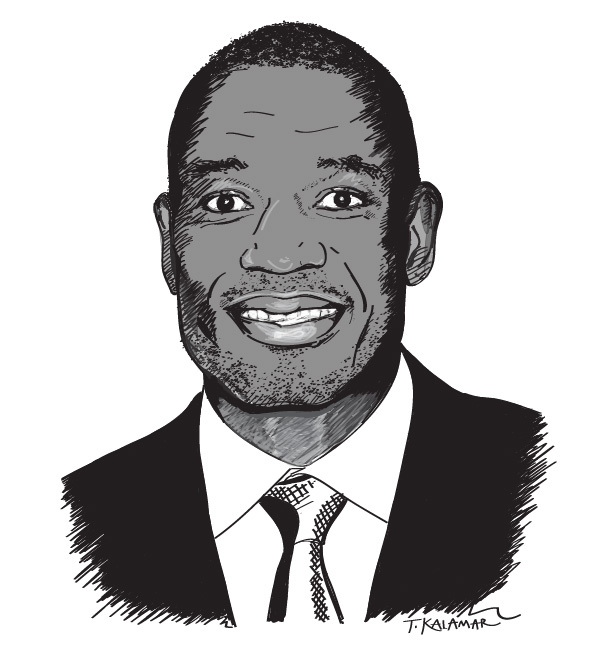 Dikembe Mutombo: Georgetown graduate; 18-season player with the National Basketball Association, and thought to be one of the greatest defensive players of all time – a four-time defensive player of the year AND an eight-time All-Star champion. Retired from the Houston Rockets at the end of the 2009 season. Built a hospital, dedicated to his mother and focused on preventing people from needlessly dying at a young age, in his home country, The Democratic Republic of the Congo. Personally invested $25 million and years of his life to the hospital, which is now a self-sustaining medical facility. The hospital has served more than 180,000 patients. Heads the Dikembe Mutombo Foundation and is a global ambassador for the NBA. This entry was posted in Society by Elizabeth Edersheim. Bookmark the permalink.